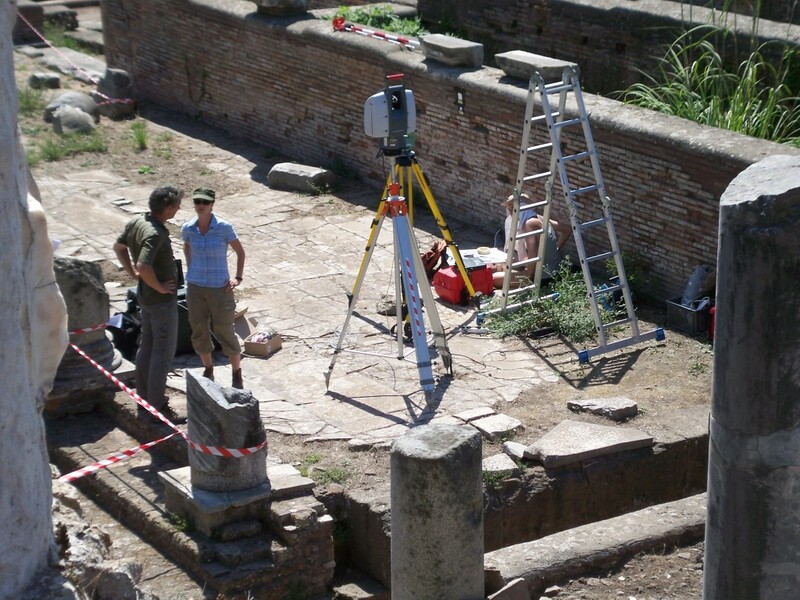 One of the main-tasks in our post-excavation work, is to unify all laserscans from the porticoes MFP and MFW in order to create one overall 3D-model-space of the entire Forum. The portico MFW is already geo-referenciated as a side-project by Undine Lieberwirth. However, the remaining laserscans of MFP are not yet proceeded in detail. By unifying the different laserscans, it will be possible to remove all ‘shadows’ and ‘black holes’ (compare the singular scanner-standpoint in the picture below). Regarding the 3D-model-spaces of trenches, there are still a lot of photographical material to be proceeded for the ortho-photogrammetry. New techniques are developed by Undine for 3D-reconstruction of the several layers removed during the process of excavation, which will be compared to our ‘traditionally’ recorded stratigraphy and our archaeological interpretation of finds. A presentation of this subject was held at Deutsches Archäologisches Institut in Berlin (Dahlem) the 1st of November 2016. This presentation is available online, and you can watch it here. The aim is to check the relation between costs and effectivity, advantages and limits of these new techniques, when they are introduced into the practical fieldwork. Bernhard Strackenbrock from the German Aerospace Center (DLR) will work from July 2014 and onwards on the proceedings of his laserscan-material of the Main Forum Rooms (MFR) and the portico MFP. Of course, his material of MFR, which was not otherwise documented, is highly important for our interpretation and visualization of the building-sequences in the north part of the Forum. 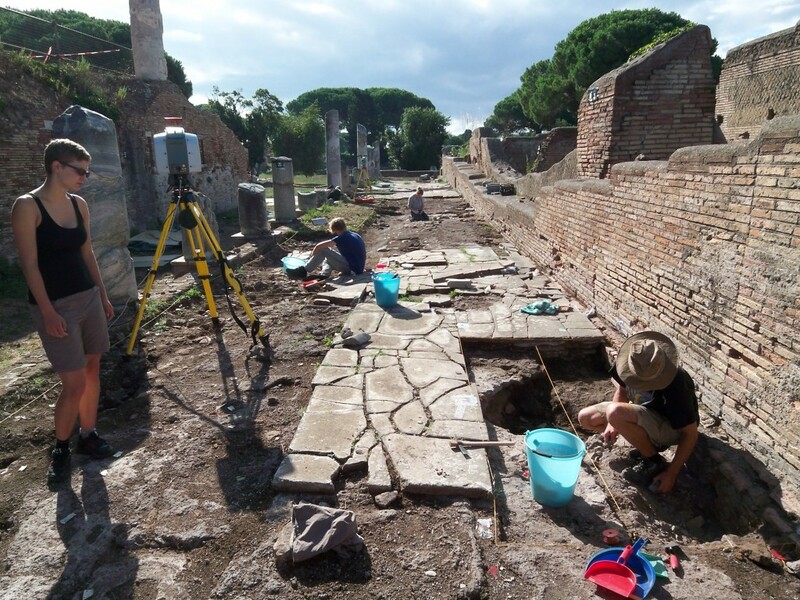 We want to examine the working-hypothesis of a common Hadrianic origin of at least the north part of the Forum, while one of the side-effects of our research so far has been to falsify the Hadrianic origin of the porticoes in the south. Undine proceeds selected trenches in MFW, while Bernhard uses different documentation techniques on the other side of the Capitolium at MFE and MFR. 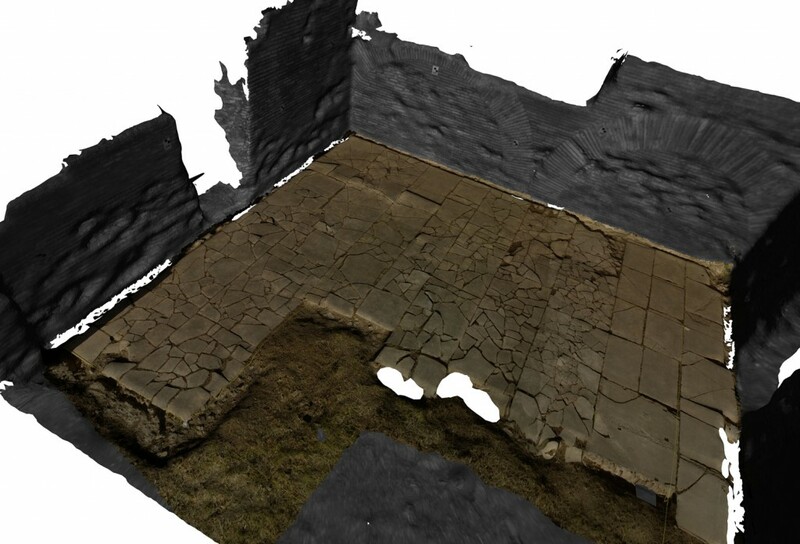 While Undine focuses on laserscans, Bernhard focuses on ortho-photogrammetry. Above all, there is still more material to compare from Bernhard Fritsch, who also worked with ortho-photography in all porticoes MFW, MFE/MFR and MFP. We plan to present the results altogether in the forthcoming interim report in Römische Mitteilungen.